“Glitche” has been installed and activated on two separate occasions. 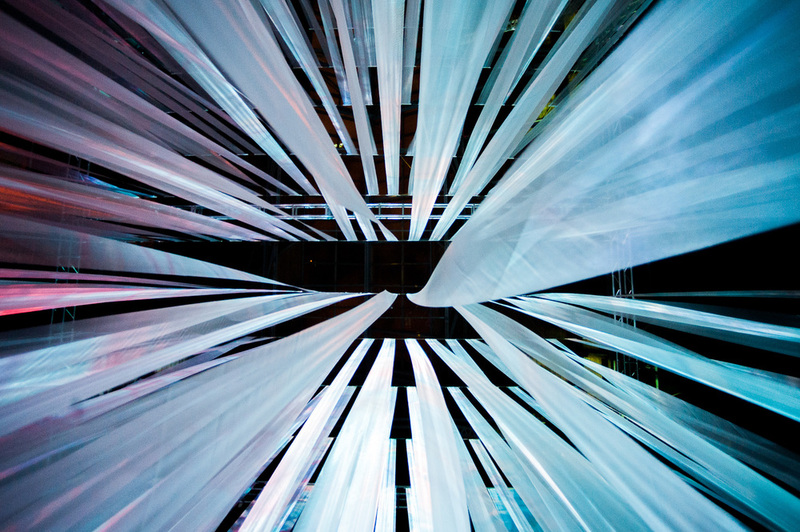 The first iteration of the piece was installed in the Pozen Center of MassArt when Samo was a student in the Studio for Interrelated Media Program at Mass College of Art & Design. 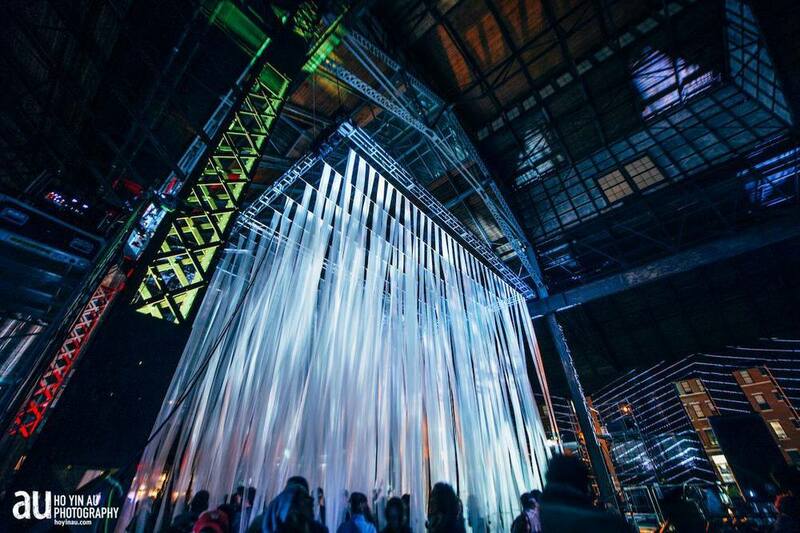 The second was installed at larger scale for Illuminus: Nuit Blanche Boston. 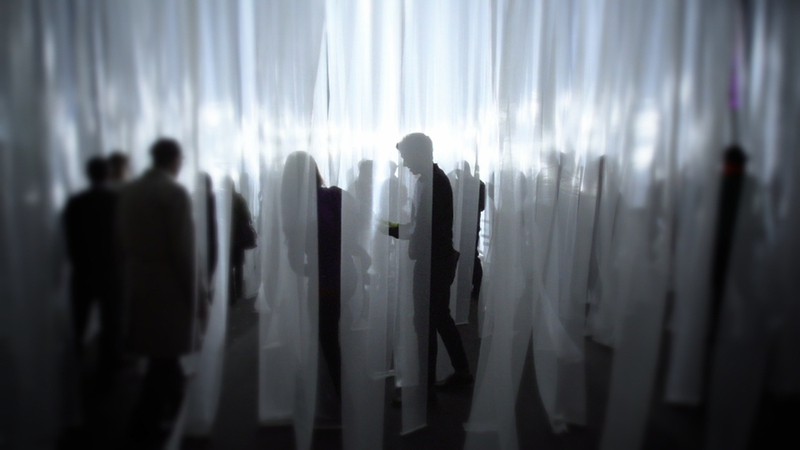 Each iteration had it’s own site specific human interaction supplying different immersive interactions with the viewer's body. 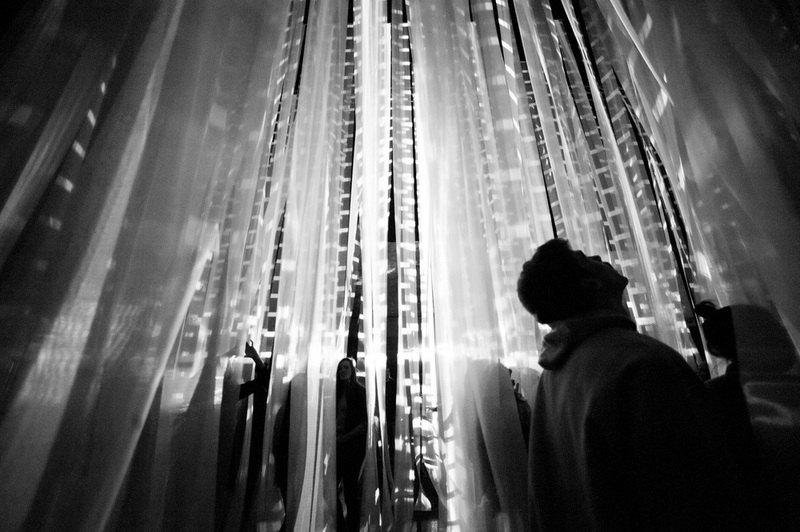 At MassArt the installation was experienced as a private experience, giving an individual the opportunity to reflect deeply with the piece and themselves. 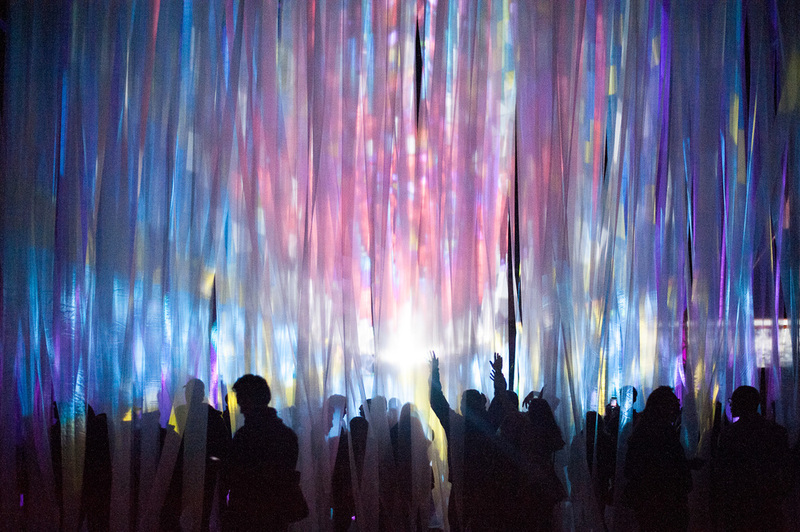 The second iteration at Illuminus was experienced through a mass body of people, allowing thousands of people to physically experience “Glitche” ’s journey through themselves and their surrounding neighbors as they intertwined through the sculpture and surrounding bodies. 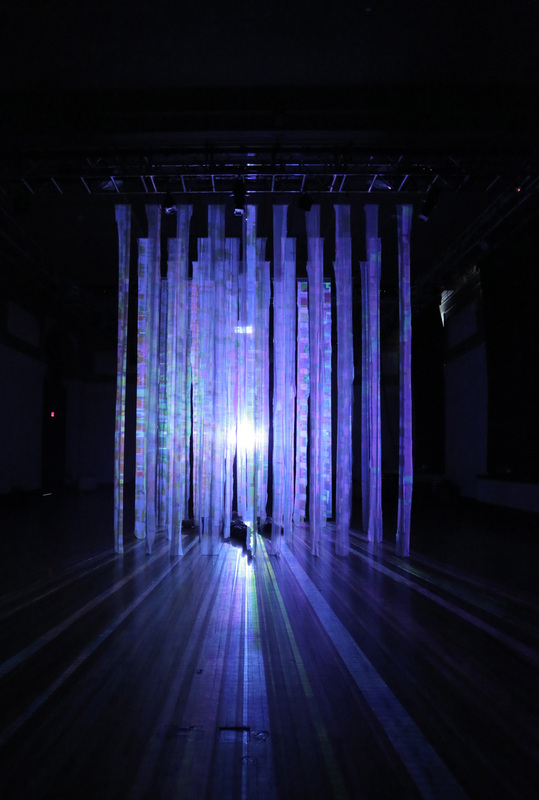 "Glitche" was also activated as an interdisciplinary platform, screening work by the artists Francois - Xavier de Costerd, Amber Vistein, and Amanda Justice. The immersive video sculpture additionally acted as a visual background, emulating Sweety's curated performers BLKBX, Mal Devisa, G H O U L S, PreColumbian, & Maria Finkelmeir - Ryan Edwards. "Glitche" Illuminus was featured on the RoseBrand 2015-16 annual catalog cover. Special Thank You to Bob Farrell, Nicole Dube, Dan Callahan, Devonshire Ya, Ben Aaron, & all volunteers for helping with the Illuminus installation.